The book explores the coerced relationship Ortiz had, beginning at the age of 13, with one of her teachers and it’s impact on her growth. The LA Times says, “It’s a work of unfettered emotions and explicit descriptions that explores her troubled youth and teenage struggles to understand her budding sexuality.” As a reader, I found it to be a work of surprising grace, given its subject matter. Ortiz manages to walk many fine lines: the work never robs her younger self of her agency but never crosses over into implicating her in her own abuse; it never paints the teacher, Jeff, as a romantic figure but it also never robs him of his own humanity. It is a mature, important reflection on the harsh realities of coming of age amidst sexual predation, parental neglect, and the everyday horrors of high school. Sarah: In the book, your therapist says to you, “It seems as though your natural state is one of hiding, secrets, shame; it is where you possibly feel most comfortable.” I’m wondering how this, born of the necessity to keep your parents’ alcoholism a secret, impacted your decisions about how to edit this time in your life into a coherent narrative. Wendy Ortiz: I’ve always known I would write this time in my life into a narrative. It was inevitable. It showed up in the fiction I wrote from the ages of 14-20, until I felt like I could come out about it without calling it fiction anymore. My relationship with secrets is complicated and one of the ways I counter the complexity is to be as honest as possible in my writing about some of the most difficult, often wounded, places in my experience, all of which I can do only with a good amount of time, space and processing in relation to the events. I appreciate you noting how I “edit this time” in my life, because there was certainly plenty of editing to make the narrative coherent, cohesive—there are more “secrets” that didn’t make it into the book in the end, and I’m trying to decide if/how I will approach that material again. As with many things, I try to straddle the opposite extremes as an exercise in learning to live with ambivalence and ambiguity, so knowing I can be comfortable with hiding and secrets means that I’ll challenge myself to be the opposite—with intention and consciousness in the best case scenarios. Sarah: In the chapter Notes on an Excavation: 1993-2001 you say, “I am forever indebted to the radicals, queers, faeries, activists, tough girls, strong girls, butch girls, strippers, writers, painters, photographers and dreamers I came into contact with. It was when I was running with this crowd that I learned the most about my worth.” I’ve often wanted to include a section on my syllabus, reminding undergraduates that nothing they’ll find in my classroom will be nearly as valuable as what they will find in the dorms, coffeehouses, bars, and apartments full of cast-off furniture and empty beer bottles around campus. Can you tell us a little bit more about how that time impacted you and why, exactly, it mattered that the people you found were radicals, queers, activists, and artists ? Wendy Ortiz: I often describe the ages of 20-28, when I lived in Olympia, Washington, as a gestation period. I landed there to finish my last two years of college at The Evergreen State College and ended up staying in that town that was the population of my entire community college in Los Angeles. My roommates, all of them, were queer, and this was the first time in my life I encountered people engaging with this identity in clear, open, and exciting ways. My next-door neighbors were anarchists and the groups I got involved in were politically progressive and often radical. If I had stayed in Los Angeles, I’m certain I would have had a similar trajectory, but it might have taken longer, or I might have become distracted by making enough of a living to survive the city. I discovered, by observing (which I’m really good at) these radicals, queers, activists and artists, that life did not need to be how my family of origin had taught me. I could be, do, perform, write without shame or fear—or if shame and fear were present, I could use them to transform the work or myself into something else entirely. Sarah: One of my favorite things about this book is the way in which you portray your younger self on the page as naïve without robbing her of her agency and without implicating her in her own abuse. This is such a delicate balancing act, and you manage it so artfully. I can’t help but imagine that this was, at least in part, made possible because you kept such detailed journals of that time and could go back and actually work in conversation with your younger self. Will you share with us a little bit about the process of working from those old journals, and about what it felt like to live with your younger self in such an intimate way during the writing? Wendy Ortiz:The detailed journals definitely play a role in maintaining that balance (and thank you for noting it this way, also artfully). The process of working with them has been to use them as a reference point. The first drafts were written by memory, then I read through the journals to look for events, conversations, thoughts that would flesh out the narrative. Living with my younger self in such an intimate way feels natural to me. It could be my experience in Jungian analysis and previous therapy where I learned to differentiate different thoughts and feelings into parts of myself—and there are many parts. The fourteen- and fifteen-year-old me frequently pop in to give their opinions about things in my forty-one year old life, and I appreciate and welcome their voices. In this way, I maintain a closeness to different parts of myself that I can access later when I want to write about them. 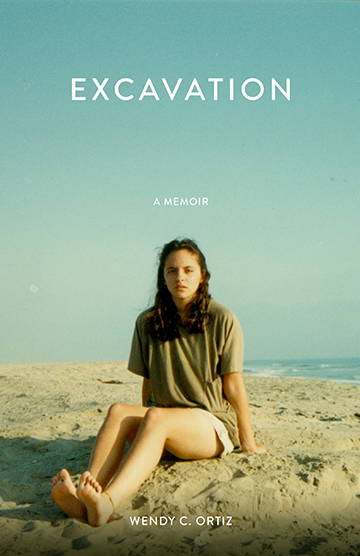 Sarah: I want to send copies of Excavation: A Memoir to everyone I know with a daughter who is or will be thirteen. I’m wondering if there is something you would say to parents who read your book and wonder how to protect their daughters from this kind of predation? Wendy Ortiz:My hope is that parents (including myself, as a parent of a daughter) will have the fortitude, patience, and openness to acknowledge and talk about sexuality with their daughters. I still feel new to parenting and recently learned of the alternatives to teaching about “stranger danger” and how anyone can become “not a stranger” with a simple hello—which means teaching about strangers suddenly isn’t enough. In my own house I intend to teach my daughter that adults should never ask her to keep secrets; that adults have a responsibility to help keep kids safe and that anything an adult suggests that makes her feel unsafe or uncomfortable should be suspect, not her fault, and something she can share with her parents. Some of my other parenting intentions include modeling an openness in talking with my daughter about subjects that might be deemed “uncomfortable,” without arousing unnecessary fears or taboos that might keep her from speaking openly herself. Everything I do in parenting my own kid is in service to helping her realize and embody a sense of herself as strong, unique, worthy, and “enough,” no matter what she does or doesn’t do. 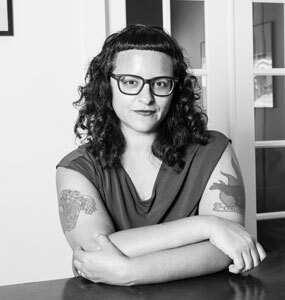 You are currently reading Wendy Ortiz and Narrative Excavation at BREVITY's Nonfiction Blog.